Hello! 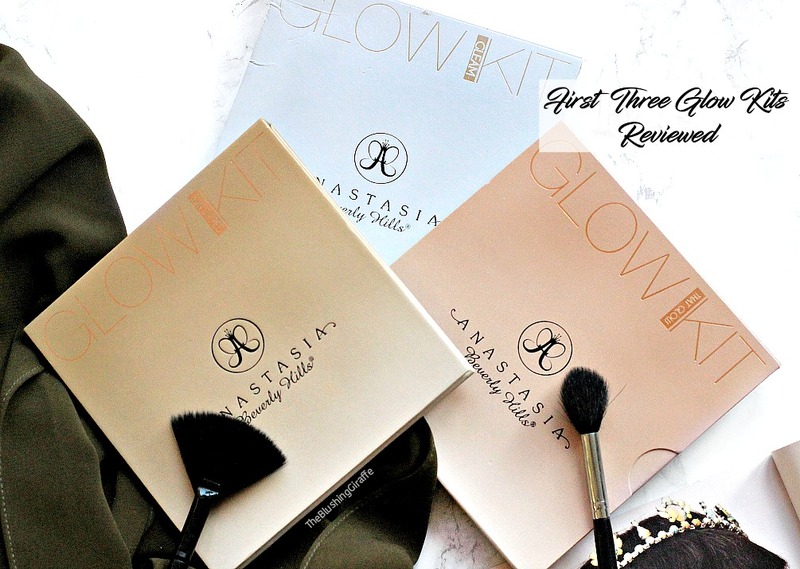 It’s time for another trio of empties post, where I give you a mini review on three products I have used up and if I’d repurchase or not. I got this eyeliner free with a magazine and I was so excited to try it out because I’d heard good things about it. I have a love-hate relationship with this pen. On the one hand it’s nib is perfect for a cat-flick with ease. The end is great for a thin line but you can achieve a thicker line with ease too. At first it provided an opaque line with one sweep of the pen, but within 6/7 uses I found myself having to go over it in a few place. But the main reason I disliked this liner? Because it never lasted completely throughout the day. It seemed to fade and that just isn’t acceptable for such a pricy item, although I didn’t pay for it I still felt as annoyed as I would if I had paid for it. According to other reviews this is a bit of a hit and miss, sometimes it dries out too quick, for others it works great. Repurchase: No. The Soap & Glory liner works better and it’s half the price! I finally got around to trying the iconic Bioderma and I 100% understand the hype! It is the most gentle yet effective makeup remover and it leaves my skin feeling great. 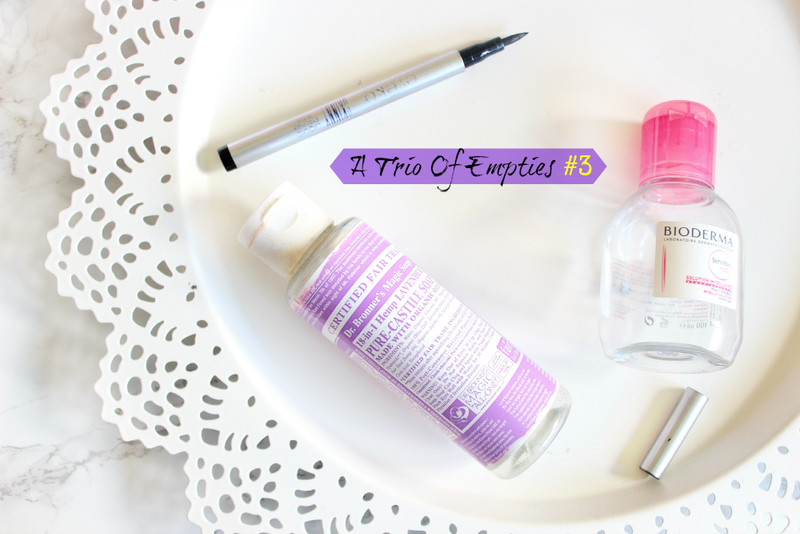 Refreshed and non-greasy or filmy like oil based makeup removers do. I like using micellar waters when I’ve got a lot of eye-makeup on or when I can’t be bothered to do a double cleanse over the sink with my oil and cleanser. A little on a cotton pad removes the bulk of my makeup and prepares my skin for a thorough cleanse with a hot flannel. The small bottle was a great tester size and now it’s on sale I’ll be stocking up on the 250ml one because it’s great for a quick cleanse in the morning or for correcting any makeup mistakes when you’re in a rush. This is the best micellar water that I’ve tried to date, great for sensitive skins and so easily available in the U.K now I couldn’t be happier. Repurchase: Yes I would. It does what it says without a fuss and isn’t too pricy either. I raved about this liquid soap in this post where I shared how I clean my makeup brushes. This is the second bottle that I’ve bought and the scent was lovely and calming. Dr Bronner’s magic soap and a bazillion different uses (well they claim there are 18 but who’s really counting? ), you can use them as shower-gels, household cleaners, shampoos and more. What I like most about the liquid soaps are they’re totally organic, I know my brushes (and my skin) aren’t being exposed to any harsh chemicals which extends their lifetime. Oh and they’re super affordable and easy to find through ASOS! I already have another bottle - the almond one I believe and I’m loving it! Repurchase: Yes! Already have done, this is a total staple and I’ll never use another soap or cleanser on my makeup brushes again (baby shampoo isn’t strong enough!). I hope this was a helpful post for you! Check out my first one in which I talk about a body wash, facial wash and daily moisturiser HERE. In my second empties you’ll find a quick nail polish remover, a lush scrub and a NUXE product HERE.